Blair pursued a career in entertainment from the age of eight, and as a child worked as an amateur dancer, performed on radio, and worked as a model, before joining the chorus of Billy Rose's Diamond Horseshoe in 1940. There she met Gene Kelly; they were married the following year, when she was seventeen years old, and divorced sixteen years later in 1957. She continued her career with regular theatre, film and television work until the mid-1990s. Born Elizabeth Winifred Boger on December 11, 1923, in Cliffside Park, NJ, her father, William Kidd Boger, was a partner in a small insurance brokerage firm; her mother, Frederica Ammon, was a schoolteacher. Both were Episcopalians. At the age of eight, she was enrolled in the Swift Sisters School of Dance, and recalled performing before Eleanor Roosevelt in 1933, winning an amateur contest shortly thereafter, joining a touring amateur show and performing on local radio, as motivating influences in her desire to pursue a dance career. She joined the John Robert Powers modeling agency and by the age of twelve was in regular demand. She enrolled in the Professional Children's School but, as it was not accredited, her mother returned her to her local school so that she might eventually attend college. She graduated at fifteen, securing a scholarship to Sarah Lawrence College. However, the Board of Admission considered her too immature for entry and requested she wait one year. In the interim, Blair joined the chorus at the International Casino in Times Square, and when it closed down, worked in the chorus of Billy Rose's Diamond Horseshoe from January 1940 where Gene Kelly was working as choreographer. "Gene fought for me. He said I could dance, and he needed some good dancers," she wrote in her autobiography. Blair and Kelly's relationship blossomed, culminating in their marriage in October 1941. She and Kelly remained married for sixteen years and had one daughter together before divorcing in 1957. Blair left Rose's show to accept an offer from choreographer Robert Alton to join the chorus of Panama Hattie, an illustrious line-up which included June Allyson, Doris and Constance Dowling, and Vera-Ellen. Alton—who had previously discovered Gene Kelly—had spotted her when she unsuccessfully auditioned for a part in Louisiana Purchase. During this period she developed a strong interest in Marxism, having been introduced to Lloyd Gough by Kelly, and attended Gough's weekly Marxist study group, which Kelly did not attend. "And it was very serious. Our textbook was The History of the Communist Party of the Soviet Union... I was completely enthralled by the ideas." In early 1941, Blair secured her first role in a stage play when Kelly's friend William Saroyan chose her to play the female lead role of St. Agnes of the Mice in his play The Beautiful People at the Lyceum Theatre, playing opposite Eugene Loring, and securing excellent reviews from leading critics George Jean Nathan and Richard Watts, Jr.. Watts commented, "The gently sweetly sincere and completely moving gravity and innocence of Miss Blair's utterly right performance is so infinitely touching and beautiful than any studied portrayal could be, that her contribution to the work is gracefully enchanting." In the 1950s, Blair was under investigation from HUAC and blacklisted for several years. 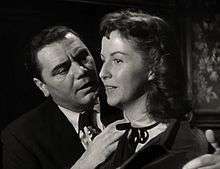 She almost lost one of her signature roles, that of Marty's girlfriend in Marty (1955), but was restored to the role after Kelly threatened to pull out of It's Always Fair Weather. For her performance, she received an Academy Award nomination for Best Supporting Actress and prizes from the Cannes Film Festival. Her film career, nonetheless, was damaged during the "red scare" era and she had to seek work on stage in New York and in Europe. Following her divorce from Kelly, Blair moved permanently to Europe where she paired off with French actor and director Roger Pigaut, and continued to appear in films, including Juan Antonio Bardem's Calle Mayor (1956) and Michelangelo Antonioni's Il Grido (1957). By those years she self-confessedly became a conspicuous member of the avant la lettre European gauche caviar. 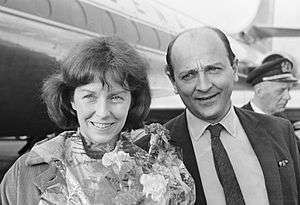 Blair married Czech-born director/ producer Karel Reisz in 1963, and would perform sporadically in later years working with Costa-Gavras' (Betrayed, 1988) and on the mini-series Scarlett in 1994. Reisz died in 2002. In 1980, she was a member of the jury at the 30th Berlin International Film Festival. Blair filmed scenes for Stephen Daldry's The Hours (2002), initially playing the older version of Julianne Moore's character. It is unclear if she was dropped or if she withdrew from the project. In 2003 she published her autobiography, The Memory of All That. Blair died of cancer in London on March 13, 2009. She is survived by a daughter, three stepchildren and several grandchildren. ↑ "Betsy Blair, 85, Actress and Wife of Gene Kelly is Dead". The New York Times. Retrieved 2016-10-26. ↑ Lobosco, David (2012-08-24). "A Trip Down Memory Lane: The Children Of Gene Kelly". Greatentertainersarchives.blogspot.com. Retrieved 2016-10-26. 1 2 3 4 5 Blair, Betsy (2004). The Memory of All That. London: Elliott & Thompson. ISBN 1-904027-30-X. ↑ Quoted in Blair, p. 33. ↑ "Berlinale 1980: Juries". berlinale.de. Retrieved 2010-08-15. Wikimedia Commons has media related to Betsy Blair.